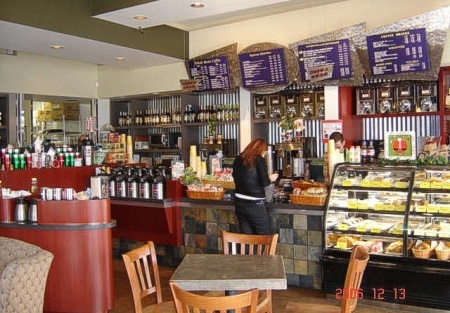 Selling Restaurants presents this easy to run Franchise Coffee House on a busy street in an upscale neighborhood in Los Angeles County. The Coffee House is one of the center's anchor tenants and is "beautifully" designed to invite customers to come in and relax in a warm and comfortable environment. Inside the Coffee House is 1310 sq. ft. including a fireplace, couch and comfortable wing-backed chairs with seating for 29. The outdoor patio seats 16 and there is plenty of convenient parking right outside the front door. Rent is only $2620 per month, plus CAM charges are $539.59 which is very descent rent for the area. Landlord will work with buyer in extending or drafting a new lease. The lease expires on January 31, 2009 and there is a 5 yr. option. The seller is currently negotiating a possible second (5) year option for a total of (10) years on the lease. The seller reports monthly sales average $28,000 per month. Great opportunity for an owner/operator to walk right into an established business without all the construction costs and permitting time delays. Seller has another career and doesn't have the time to run this business. Contact agent today for financial information. Take the next step and complete the online confidentiality agreement and you�ll be provided with the restaurant name and address. Also you will given priority notification to new listings in the future, prior to the general public, giving you the best chance to �scoop in� the best opportunities. There are also more photos available to our registered buyers.This is a a Paramount Restaurant Brokers, Inc. listing. Coffee House is beautifully designed in a warm and comfortable environment. Inside 1310 sq. ft. including a fireplace, couch and comfortable chairs with seating for 29. Outside, there is seating for 16 on the patio and plenty of convenient parking. Rent is only $2620 per month, plus CAM charges are $539.59. The lease expires on January 31, 2009 and there is a 5 yr. option. The seller reports monthly sales to be $30,000 per month. Great opportunity to walk right into an established business without all the construction costs and time delays.